A new design for Autumn. 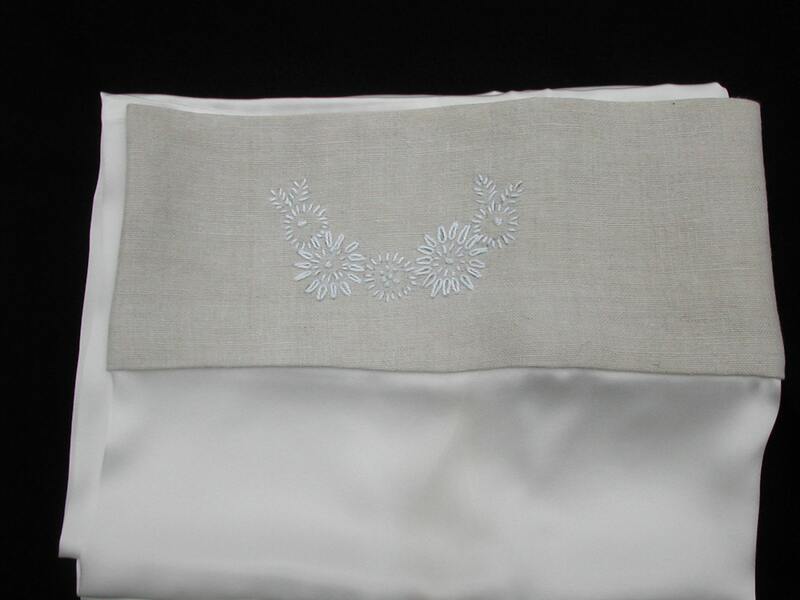 This pillowcase is ivory silk charmeuse with a linen trim at the opening end, hand embroidered with white flowers. 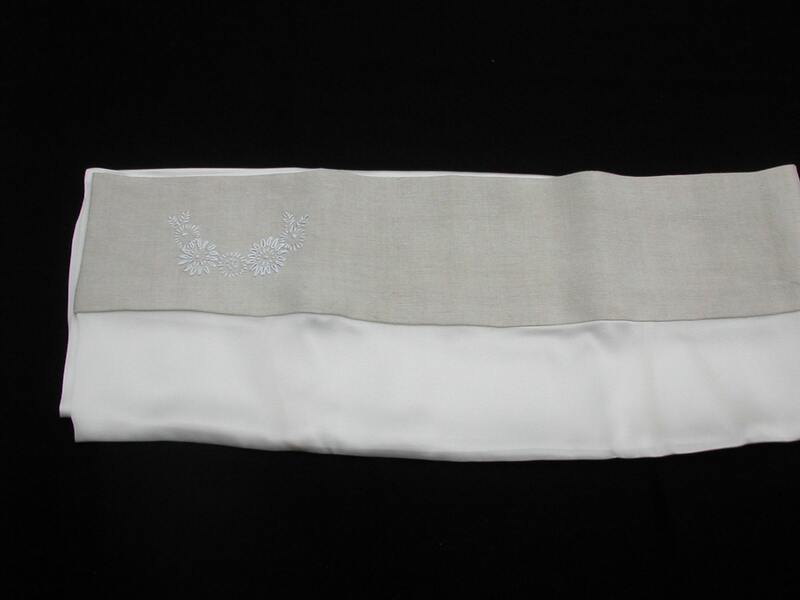 The pillowcase is silk both front and back and measures a generous 20" x 30". (Please ask if you need a different size). 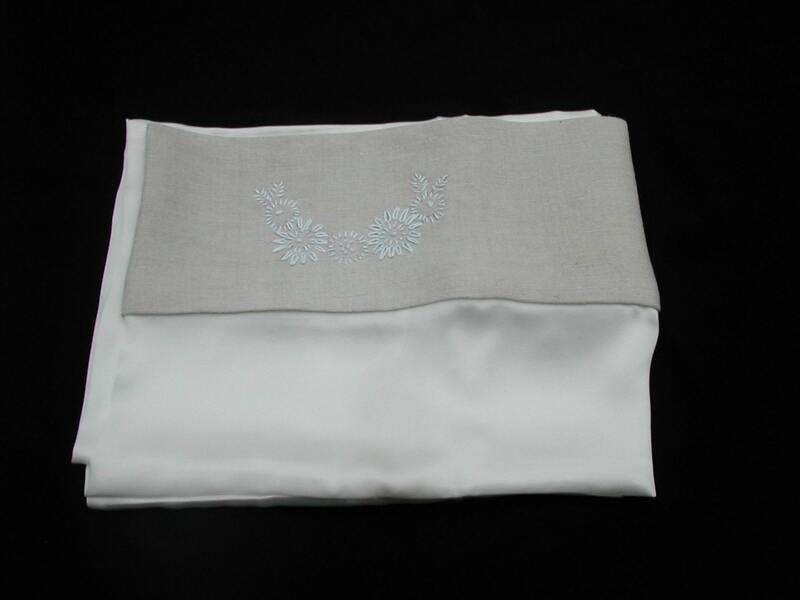 The pillowcase fastens with ribbons giving it a vintage feel and all seams are enclosed so there are no raw edges. 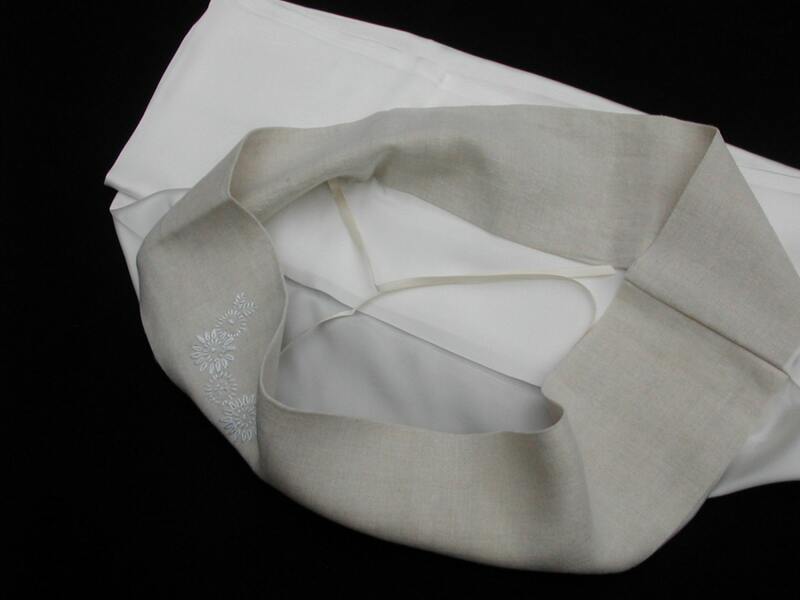 Silk is the most beautiful fabric to sleep on. I have naturally curly hair and used to wake up with the back of my hair tangled and knotted. This resulted in split ends and my hairdresser recommended silk pillowcases. I decided to make them and he was amazed by the improvement. So much so that he started selling my pillowcases in his shop and so my business was born. Silk does benefit from a little extra care. I wash mine on a silk cycle with a mild detergent like Stergene for delicates ( although some customers just put them in the washing machine with the rest of their bedding). If you need a pair or would like a different design please send me a convo.